Flap's Dentistry Blog: Chicago's Dental Health Safety Net on Verge of Collapse? 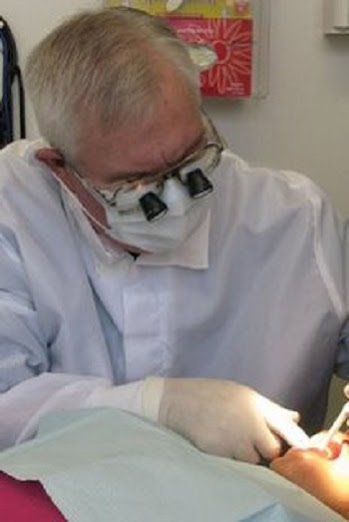 Chicago's Dental Health Safety Net on Verge of Collapse? According to a new report, Chicago's dentistry safety net is is dire shape. As more than 30,000 dental experts descend on McCormick Place for their winter meeting this week, a new report issues a stark warning: The Chicago area's dental safety net — the oral care it provides to underserved patients — "is in the midst of collapse." From 2006 to 2011, more than a quarter of the region's low-cost dental clinics were shut, according to a 30-page white paper released Thursday by the Chicago Dental Society. The report details how the local availability of dental treatment has declined for the neediest patients, leading to what one dentist calls a "perfect storm of an oral health crisis." They have "almost nowhere to go" at this point, said Dr. Susan Becker Doroshow, secretary of the dental society. "The path for them is already irreversible." Most factors cited in the report could apply to any municipality — strained budgets, fundamental misconceptions about oral care and shrinking income thanks to stubborn unemployment. But the dental safety net in Cook County and Chicago is especially vulnerable, according to oral health advocates. "The economy has hit our area hard," Doroshow said. "When people are strapped financially, they take away the things from their budget they think are the easiest to postpone." This is not just Chicago, as the American economy has struggled the past four years. But, the solution is economic growth - something the politicians have placed on the back burner because other issues are more important. I, foresee, more suffering before the economy improves.